Consumers want a seamless experience. We want our smartphones to pick up our Netflix binge sessions from the moment we left off on our Roku or smart TV. We want our Amazon shopping cart and recommendations to be consistent, from laptop to iPhone. This kind of seamless experience across messaging, content, offers, and more is called omni-channel marketing. Omni-channel is a step up from multi-channel marketing, which assumes the customer is interacting with your brand through multiple engagement points, or channels. Omni-channel does more than rely on a variety of channels—it integrates them. The result is a seamless, frictionless customer experience—one that, if done right, works. A recent survey, for example, suggests that omni-channel marketing strategies can boost retention rates by over 90 percent year-over-year. This is a staggering statistic—especially considering that it costs five times more to acquire new customers than retain existing ones. Omni-channel has the potential to bring your marketing game to a whole new level—if you do it right. 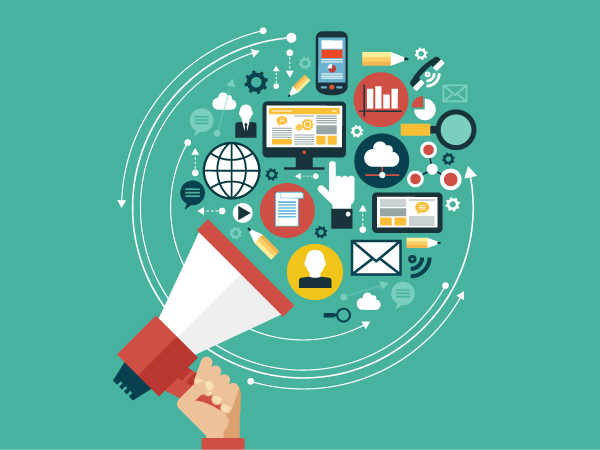 Here are five steps to doing omni-channel marketing the right way. Begin with behavior. Track your customers’ journeys, both online and off, wherever possible. Content they’ve downloaded or viewed, previous purchases, items they’ve placed in shopping carts—accumulate as much data as you can, and use it to tailor relevant offers to the appropriate audiences across the channels they use. Set up a surprise. Between online echo chambers and choosing the same-old-same-old offline, we tend to get stuck in ruts—but consumers like to discover things, especially when it’s a deal or product that feels perfect for them. Make sure it comes to your customers naturally—don’t expect them to chase you or search. And you should have enough data to approach them with the right offer, the right way. If you don’t, go back to step 1. Put your marketing to the test. You won’t know if you’re giving your customers a frictionless experience unless you test it out—ahead of time. Recruit test subjects that are internal and external to your organization. Have subjects place orders, click through offers, and more. If they hit snags or simply don’t love the process, it’s time to fine tune your interfaces or content. Communicate your culture. A big part of customer experience is determined by your brand identity and company culture. Be consistent, engaging, and true to your mission and ideals. Consumers—especially younger demographics—will recognize insincere messaging and will disengage. Your offers need to be relevant to your customers—but they also need to be relevant and true to you. Perhaps the most critical key to effective omni-channel marketing is having the right tools to help you monitor and track the customer journey—across all channels, including phone calls. That’s where CallTrackingMetrics comes in. Our unique platform lets you track the customer’s online and offline journey—including phone calls—to provide a complete picture of activity. Even better, our technology integrates with the tools you’re already using (Google, Salesforce, Acquisio, Unbounce, and more). To learn how we can help improve your omni-channel strategy, schedule a demo today.